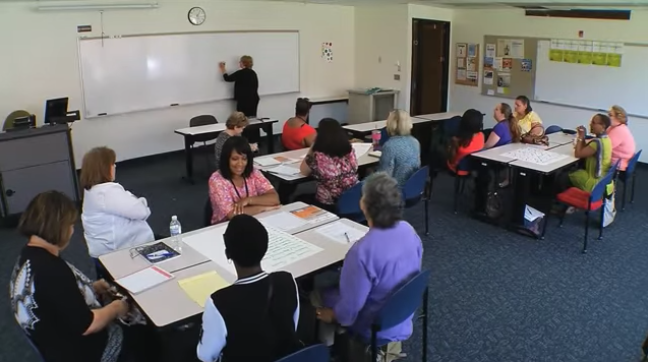 The next session of Cuyahoga Community College’s eight-week Women in Transition Program begins the week of March 19. Now entering its 40th year of empowering women, the free course will aid women in working on personal development, career exploration, time management, stress management, basic computer skills, resumes and more. These classes also help women to connect with different departments at Tri-C, as well as community resources. Personal Development: Designed to help examine individual resources, values, and goals to help build a better future. Concentration is placed on becoming more self-directed, self-motivated, self-confident, and to broaden communication skills. Career Exploration: Explore interests, skills, and attitudes. What career would match your personality? What are the “hot careers” and what can I expect to earn? What classes or degree do I need to have to become marketable in the work field? Includes various academic planning activities. Workshop Topics: Learn to build on self-esteem and assertiveness. Explore health issues, safety concerns, job readiness, time management, and tools to deal with life’s changes. Computer Introduction: Entry-level computer training class to learn proper website search, the etiquette of email, and exploration of the Tri-C information systems. Tap into resume sequences and much more. Women who are interested can complete a pre-registration by clicking here, or by calling the Women in Transition office at 216-987-4974. Next article Fatherhood or Fatterhood?